General dentistry refers to any non-specified dental care aimed at the prevention, identification, diagnosis, and treatment of dental disorders or diseases. General dentists must complete a Doctor of Dental Surgery (DDS) or Doctor of Dental Medicine (DMD) degree to earn the title “general dentist”. In addition, they do not offer specialized dental treatments, such an orthodontist or endodontist would, rather they offer a wide range of services. The American Dental Association (ADA) recommends visiting your dental office at least once every six months for a dental checkup and professional teeth cleaning. Regular dental checkups ensure that your teeth will remain clean and healthy, and will identify any possible issues before they have a chance to progress. Yes. General dental care should be obtained by everyone, regardless of their age or current dental health. Even if your dental health is good, it is still important to visit Appletree Dentistry for your biannual check up. If you are experiencing any sort of gum irritation, bleeding, tooth pain, problems eating, or jaw pain it is especially essential that you schedule a consultation with Dr. Scott Simpson of Appletree Dentistry today. What do I need to do to prepare for my general dental care appointment at Appletree Dentistry? How is my oral health currently and how should I improve it? Am I using the correct brushing and flossing technique? Is there anywhere I need to do a better job of brushing? Also if this is your first visit to Appletree Dentistry, you may want to look up directions to our office ahead of time to plan your route accordingly. It is recommended that all new patients arrive about 10-15 minutes before their scheduled appointment time to fill out any necessary paperwork. 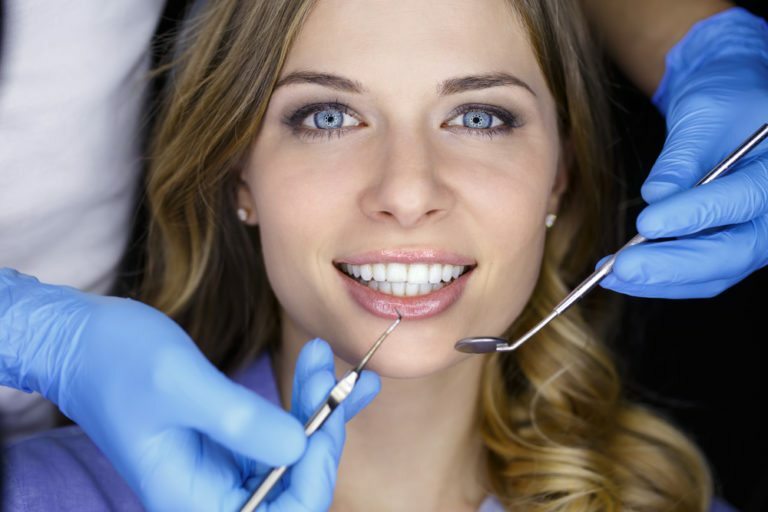 What will happen during my general dental care appointment at Appletree Dentistry? General dental care appointments are generally broken up into three parts: dental exam, dental x-rays, and professional teeth cleaning. The first part of your appointment will likely be the dental exam.During your dental exam, Dr. Simpson will evaluate your teeth, gums, and bite. He may gently probe certain teeth to test them for sensitivity or ask you to open and close your mouth to evaluate your jaw. He will also perform an oral cancer screening. Next, Dr. Simpson will likely take dental x-rays to use as an additional diagnostic tool. Dental x-rays will allow Dr. Simpson to evaluate the health of your jaw bone and tooth roots. In addition, dental x-rays can help locate cavities that may not have been visible during your dental exam. For dental x-rays, you may be asked to hold your cheeks away from your teeth or bite down on a small plastic disc. They will only take a few minutes and should not cause you any discomfort. Some people worry about the radiation associated with dental x-rays, however this amount is so tiny that it is considered to be safe for children and adults. After your dental exam and dental x-rays, your general dental care appointment will conclude with a professional teeth cleaning. During your professional teeth cleaning, one of our dental hygienists will use a scaler to gently scrape away any plaque and tartar build up from the surface of your teeth. While plaque can be removed with a toothbrush, tartar is much harder and can only be removed by using a scaler. Once the plaque and tartar have been removed from your teeth, our dental hygienists will brush your teeth using a gritty toothbrush and floss them to remove any additional debris. As a final step, your teeth will receive a fluoride treatment and polish. What can I expect after my general dental care appointment at Appletree Dentistry? After your general dental care appointment, you will want to schedule your next general care appointment. For individuals maintaining their preventative care, this appointment will likely be scheduled six months out. However if you are in need of restorative care or procedures, your appointment will likely be scheduled sooner. Between dental appointments, it is important to practice good oral habits to keep your teeth as healthy as possible. Good oral habits include brushing your teeth twice a day for at least two minutes a day and flossing once daily. Be sure to brush with an ADA approved fluoridated toothpaste and change your toothbrush every 3-4 months. You will also want to avoid consuming excess sugar or using tobacco products. To prevent your teeth from becoming damaged, you will also want to avoid detrimental behaviors. Such behaviors can include chewing ice, nail biting, using your teeth as an opener, and teeth grinding. If you play a contact sport, you may also want to be fit for a mouth guard to protect your teeth from trauma.